It is a B&B accommodation. Will change that in our system – sorry ! It’s all moving a bit fast with Tripadvisor Business listings, trip connect, freetobook, google. 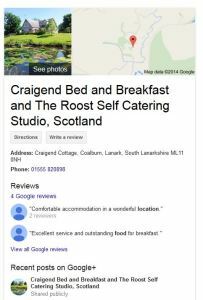 We just want to get good reviews on a trusted channel (Tripadvisor) and have a one stop shop for reviews and listing and bookings. We are too small to have a whole marketing department, and do not need a scattergun approch with all these different portals to manage. It all gets to unweildy ! Yes that is correct, you are talking about the Google HPA system which may well become more open so there could be more channels there soon. Thank you for this information. When you are on a tight budget it is hard to figure out the best way to market your new venture. Your booking program and tidbits of info has really helped us jump start our business. Thanks again! You are welcome, all the best with your business I’m sure it will be a great success. 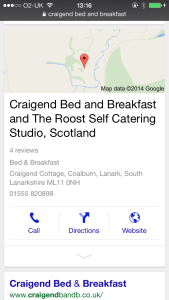 We have a google plus page but it only offers direct booking via booking.com. Is it possible to add a link to our freetobook listing? and if so how?